Heidi Hoffman, cellist, made her debut as soloist with the Seattle Symphony (USA) at the age of 17. She went on to study at the Eastman School of Music, SUNY Stony Brook, and as a fellowship student at the Tanglewood Music Center, where she played under such conductors as Leonard Bernstein and Seiji Ozawa. She has performed in North and South America, Europe and Japan with such diverse groups as the American Symphony, Jupiter Symphony, Tchaikovsky Chamber Orchestra, Northwest Sinfonietta, Pacific Northwest Ballet, the new music group Ensemble X, as well as with the rock bands Paige and Plant, and Heart. 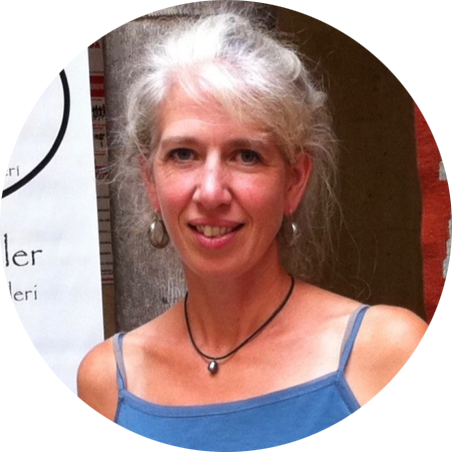 Ms. Hoffman is presently a member of Symphoria in New York, the Grant Park Symphony Orchestra in Chicago, and has served on the faculties of Ithaca College, Wells College, and Cornell University. She has recorded for the Albany and Fleur de Son labels, and her teachers have included Alan Harris, Timothy Eddy, and Julius Levine. 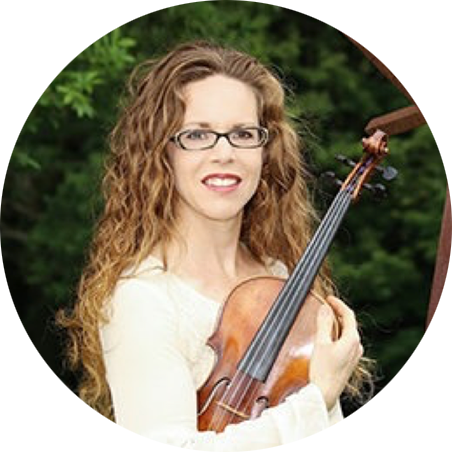 Sonya Stith Williams is currently the Assistant Concertmaster of Symphoria. Prior to this position, she played with the Syracuse Symphony Orchestra for 10 years. She has also performed with many other orchestras in our region including the Buffalo Philharmonic, Northeastern Pennsylvania Philharmonic, Binghamton Philharmonic as guest principal second, and the Rochester Chamber Orchestra. Sonya holds a B.M. in violin performance and a M.M. in performance and literature from the Eastman School of Music where she studied with the esteemed teachers and performers, Zvi Zeitlin and Ilya Kaler. As part of her training she also attended the Music Academy of the West, the Quartet Program, and the National Orchestral Insitute where she served as concertmaster. She also participated in a string quartet rural residency program while at Eastman. She is actively engaged in chamber music and recitals in the Syracuse area including performing with the Skaneateles Festival, Civic Morning Musicals Recital Series, La Veck Concerts, Society for New Music, Syracuse Friends of Chamber Music, Temple Concord Concert Series, and Syracuse Stage musical productions. She is also a member of the Symphoria String Quartet that plays concerts, educational performances, and conducts masterclasses in schools as well as in the community. Sonya has been guest speaker at the Eastman School's Arts Leadership program, and at the Syracuse University's Women in Leadership organization. She also teaches at Le Moyne College and the Eastern US Music camp. Sonya serves on the Board of Directors at Symphoria, is chair of the Education and Outreach Committee, and also serves on the Syracuse YMCA arts branch board. She lives in Baldwinsville with her husband Matt and their three children. Auler has won first prize in national and international piano competitions, including the Society of American Musicians and the Stravinsky Awards. Auler has performed on six continents, including performances throughout the United States, Canada, Argentina, Venezuela, Germany, Austria, Holland, France, Denmark, the Czech Republic, China, South Africa and New Zealand. Notable venues include Carnegie Hall, Teatro Colon, and Shanghai Symphony Hall. Auler has performed in notable summer music festivals including the Aspen Music Festival, Music Academy of the West, the Monadanock Festival, the Michigan City Chamber Music Festival, the Saugatuck Chamber Music Festival, Nantucket Musical Arts Society, and Festival A Tiempo Caracas (Venezuela). He has collaborated with composers such as Steve Reich, Aaron Jay Kernis, Carter Pann, and George Tsontakis, and with world-class ensembles such as the Ying Quartet, MIRO Quartet and Sybarite5. Auler is also the founder and executive director of Laveck Concerts, a recital series that brings world-class classical music to an underserved portion of upstate New York. Auler records for Albany Records, performs frequently with Society for New Music, and Syracuse Symphoria, and serves as Professor of Piano at the State University of New York (Oswego). He and wife Tara have a 4-year old daughter, Katie, and a 1-year old daughter, Caroline. Auler is the 2016 winner of SUNY Oswego’s President’s Award for Scholarly and Creative Activity. Nicolas Paul Orbovich enjoys a high reputation among adventurous American violinists. His highly acclaimed career spans a wide variety of musical styles and genres, while expanding into prolific artistic entrepreneurial endeavors. As a performer, Nic has been honored widely. In 1987, he was awarded the Bronze Medal at Her Royal Majesty’s International Festival Competition in Aberdeen, Scotland (UK). Orbovich was also a semi-finalist at the 1995 Fischoff National Chamber Music Competition as a member of the Amherst String Quartet. In 2001, he was featured as a soloist on the Grammy Award nominated release, “The Hot Springs Music Festival: Louis Moreau Gottschalk” (Naxos). That same year, Nic was a prominent figure in the Emmy Award winning documentary, “The Sound of Dreams.” In 2008, Nic was concertmaster on a “Top Ten of the Year” selection of Gramophone Magazine, “Rudolf Haken; Concertos” (Naxos). He has soloed with numerous orchestras around the country, having performed concertos and brilliante works by Wieniawski, Vieuxtemps, Sarasate, J.S. Bach, Beethoven, and Vivaldi. He enjoys a reputation as an outstanding recording artist in many genres. Besides the aforementioned Grammy nominee and Gramophone magazine award winner, Nic appears in “The Hot Springs Music Festival; Creole Romantic Composers” (2001-Naxos), “Music of Jerome Moross” (2002-Naxos), “Music of Jerome Starer” (1997-Albany), and appears on an album of jazz violinist Diane Delin. As an orchestral performer, his work is prolific. Nic has been concertmaster of the South Bend Symphony, the Hot Springs Festival Orchestra, the Southwest Michigan Symphony, the LaPorte Symphony, the Lake Shore Symphony and many others. In this role, he has performed on stage with some of the most acclaimed names in classical music. Some of those names include; Itzhak Perlman, Yo Yo Ma, Gidon Kremer, Joshua Bell, Andre Watts, Hilary Hahn, Lang Lang, Garrick Ohlson, Shlomo Mintz, Daniel Barenboim, Lorin Maazel, Leonard Slatkin, and Sir Georg Solti. Currently, he holds the Principal Second Violin chair with the South Bend Symphony Orchestra (SBSO), where he is also a member of the SBSO String Quartet and String Quintet, performing over 20 concerts a year with those chamber ensembles. He is the co-founder (with wife Sunny) of the Michigan City Chamber Music Festival (MCCMF), and performs as violinist in their annual concerts. Through his leadership and dedication, the MCCMF is quickly becoming recognized as one of the country’s best chamber music festivals. In 2013, he was the guest speaker at the Indiana Suzuki Teachers Conference, where he delivered an address on the importance of teaching chamber music to young musicians. Orbovich is equally dedicated to music education. He has been on the faculties of Valparaiso University, Andrews University, Bethel College, Illinois Valley Community College, the Hot Spring Music Festival, and the Donald A. Dake Chamber Music Chamber Music Academy. 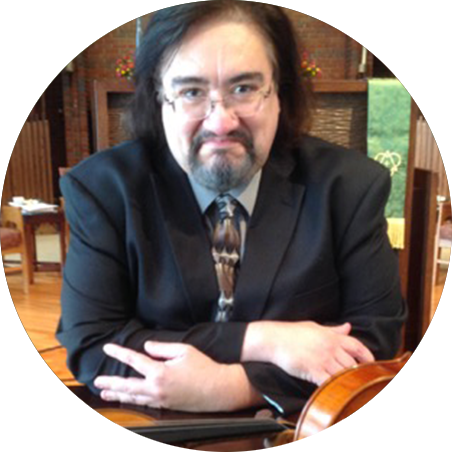 Currently, Nic has a thriving private violin/viola studio in Michigan City, IN. As a member of the South Bend Symphony String Quartet and Quintet, he performs 25 interactive and educational concerts for school children each year. During the aforementioned Michigan City Chamber Music Festival, he facilitates daily presentations for elementary aged students at the local public library during the week long event. He also has taken the “Every Child Can” pre-Suzuki school training, which specializes in early childhood musical development. Nic has garnered much attention in the “pop” genre as well. He has performed on stage with such popular artists as Rod Stewart, Amy Grant, Michael Bolton, Clay Aiken, Arturo Sandoval, Tony Bennett, the Duke Ellington Big Band, Frank Sinatra Jr., Bobby Vinton, the Moody Blues, Yanni, Roger Daltry, Kansas, Melissa Manchester, Ben E. King, Tito Puente Jr., Ben Vereen, the Platters, the Ink Spots, and Barbara Mandrell, just to name a few. Nic lives in Michigan City, IN with his lovely wife Sunny and beautiful daughter, Sophia. He also enjoys many altruistic and philanthropic endeavors. Orbovich serves on the Board of Directors of the Keys to Hope Drop In Resource Center (a Center for the homeless), the Recovery House of Michigan City, volunteers at the Community of Faith Men's Shelter, the Michigan City Soup Kitchen, and has served on the Board of Directors of the Dunes Fellowship Recovery House.